The Signal is a contemporary blend of state-of-the-art technology, sleek design and classic finishes. This modern ceiling fan is a part of Hunter's SIMPLEconnectT Wi-Fir Collection of smart home ceiling fans. It works with an integrated remote as well as home automation applications including Amazon Alexa, Google Assistant and Appler HomeKitT. 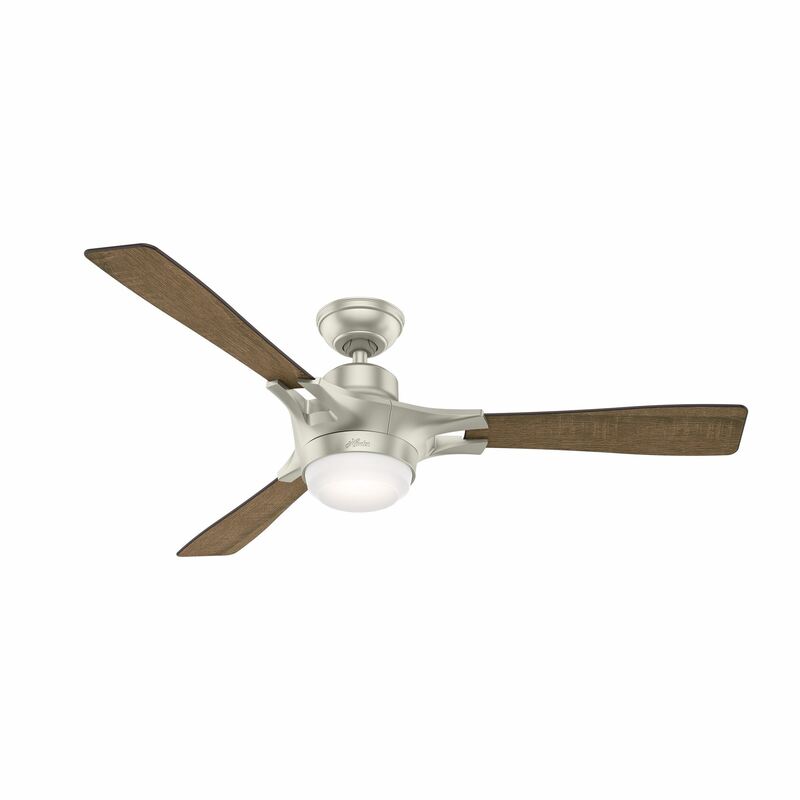 Stylish finishes paired with WhisperWindr motor technology and connected home capabilities make this fan fashionable and functional for large indoor bedrooms and living rooms.